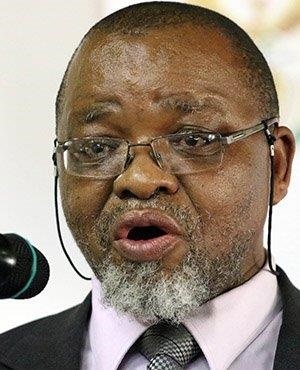 Minister of Mineral Resources Gwede Mantashe on Friday gazetted the draft Mining Charter, which allows the public 30 days to submit their comments. Earlier this week the Department of Mineral Resources (DMR) told Parliament that it had reached an agreement with industry and social partners that the charter would serve as "secondary legislation" as opposed to punitive law, Fin24 reported. Prior to gazetting the charter, which aims to transform the mining industry, the minister met mining communities and other stakeholders for consultations. President Cyril Ramaphosa has previously said that the charter should benefit all South Africans. A previous version of the charter was challenged through the courts by the Minerals Council of South Africa, formerly known as the Chamber of Mines. The organisation represents 90% of the industry, and criticised former mining minister Mosebenzi Zwane for unilaterally deciding on transformation targets without consulting other stakeholders. The council on Friday issued a statement on the draft charter and said it would need time to "study the document" and consult with its membership before forming a "comprehensive view". "The Minerals Council notes the areas of consensus achieved in what has not been an easy task undertaken by the DMR," the statement read. The council however raised concerns over a provision for “free carry” interest on new mining rights. “As previously explained, the industry does not favour a requirement of 10% ‘free carry’ on new mining rights as part of the proposed 30% BEE equity ownership target, as it would render uneconomic a significant proportion of potential new projects, and would undermine and constrain any prospects for growth in the sector and indeed the economy as a whole,” the council said. "The Minerals Council will continue to participate fully in the engagement processes led by the DMR, and looks forward to the planned summit where it anticipates meaningful discussions will take place," the council said. The charter allows for mining companies to get credit for previous black-empowerment deals even when the investors later sold their shares to whites or foreigners, through its “once empowered, always empowered” principle. However, companies will have had to meet the 26% black-ownership requirement, Bloomberg reported. The minimum percentage will be increased to 30% within five years of the new set of rules taking effect. According to the draft, for new mining rights a minimum 30% black ownership requirement includes a 5% free-carried interest and 3% financed interest each for workers and mining communities. The remaining 14% is for black investors, Bloomberg reported.